Well into the 20th century coal miners used to bring caged Canary birds with them into mine shafts to warn them of dangerously high carbon monoxide gas levels. The birds would die before the men acting as early warning detectors of an unseen danger. Paying homage to this ingenuity the Canary system was designed to provide an early warning from the unseen danger of cavities developing in teeth. 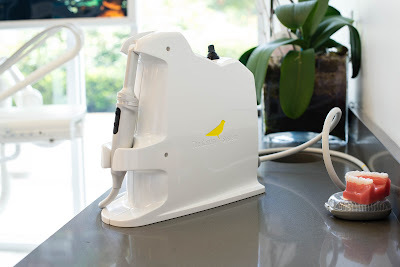 Over the last decade the Canary system has gained more and more importance as an integral part of a dental exam because of its repeatable and dependable results. A lot of the time we need to wait until we can see a cavity on a digital X-ray or visually before we can suggest treatment. Ultimately, this results in larger fillings and the potential for more invasive treatment. With the Canary it’s actually possible to treat cavities during their inception resulting in a drastically improved long term prognosis for any tooth. 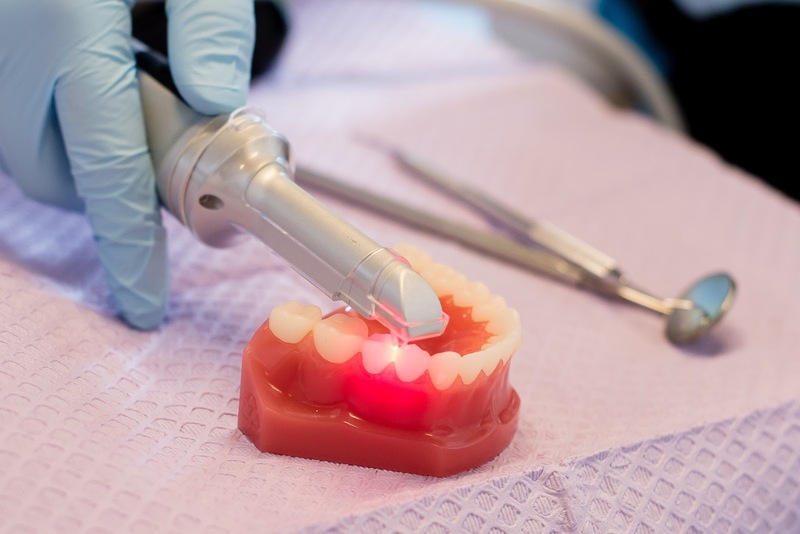 The laser technology can detect a cavity in between a tooth up to 5 times faster than a dental X-ray. Take a look at the following example. In between the teeth a X-ray was inconclusive because of tooth overlap. When we used the Canary we found mineral breakdown of the enamel crystal structure underlined by the Canary scores of 35 and 42. The Canary grades tooth enamel matrix on a scale of 0-100 letting us know as clinicians how severe the cavity is. 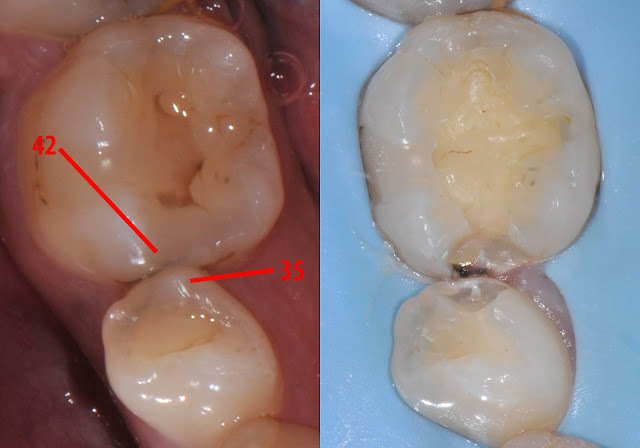 Lower numbers suggest healthy enamel whereas higher numbers suggest the presence of cracks or caries In the past with no definitive evidence no restoration would of been recommended but now we can easily see that treatment was required. So how does it work? 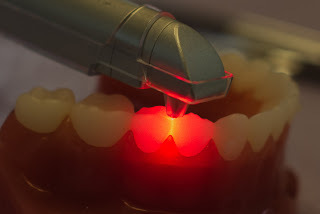 When placed on the tooth surface, a pulsating 2Hz low level-laser light passes into the tooth during a 3 second scan. The temperature is raised approximately 1 degree Celsius, which is imperceptible by the tooth, but generates a photothermal (heat) signature and a luminescence (light) response. Think of your tooth like a diamond, if the crystal is perfect it transmits heat and light very well, if there are impurities then heat is increased and light is absorbed. The Canary uses an advanced algorithm to compute Canary scores that we can use to assign a severity to the size of cavity. The Canary can detect cavities as small as 1/20th of a millimeter and up to 5 mm below the surface of the tooth. The University of Texas conducted it’s own independent human study and found the accuracy of the Canary system to be 92% comapared to 67% for traditional X-rays. Ultimately visual inspection and X-rays are of little use when trying to detect and monitor the early signs of tooth decay. Traditional techniques involves pushing on the tooth to see if any cavitated lesions are present on the surface but inherently this can be detrimental because this probing can damage the tooth structure even more by introducing bacteria into deeper areas of pits and fissures. There are other technologies on the market that use different methods to diagnose cavities. They mostly differ by the methodology in which they can scan the tooth. One such method is to use Fluorescence to measure the porphyrins, a pigment, that is released by cavity causing bacteria, i.e. the Diagnodent. While there is evidence to support the use of the Diagnodent it is subject to false positives due to stain, plaque, calculus and prophy paste. It also can’t detect cavities underneath sealants or in between teeth. Another popular technology is transillumination. Dexis produced the CariVue system that shines infrared light through a tooth and then produces a live thermal image of the interproximal tooth architecture. While this is great for detecting cavities in between teeth it doesn’t work great for cavities under sealants. It is also subjective as to whether a dark area on a gray scale image is a cavity or just an artifact in the tooth. On top of that there is no method to quantify the cavity when it is detected. 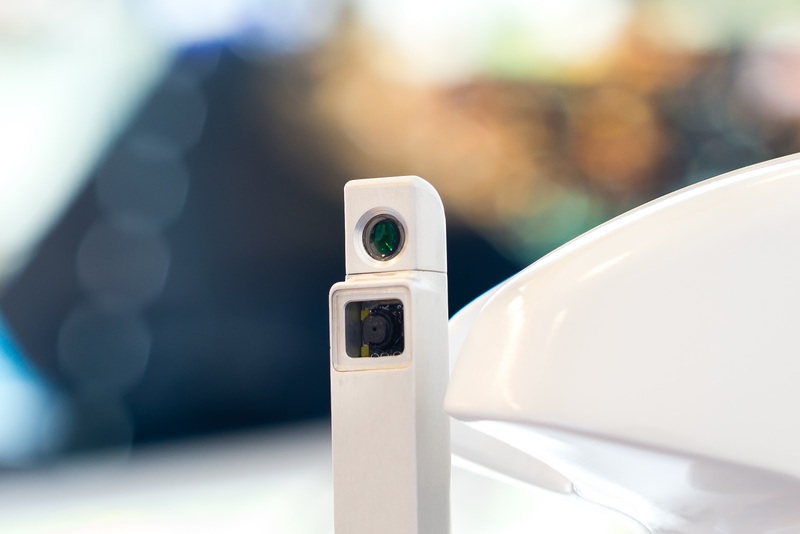 Another bonus with the Canary wand is that it houses a state of the art intraoral camera to take high resolution intraoral images. OUsing the Canary we can monitor a suspicious lesion that is borderline and treat it non-invasively. We can remineralize an area using high fluoride gel and/or toothpaste. There is also a product called MI paste which uses a proprietary recalcification agent to remineralize a decaying tooth. When using these techniques we can check the same area over 2-3 years and make sure that the cavity is decreasing in size while being as conservative as possible. The Canary really is the new age of dentistry and is a great tool that every dentist should have! It was an attractive and informative article, I never hear about Canary Dental Laser you have well explained I Visited at Orthodontist Colorado Springs the have speciality as yours.